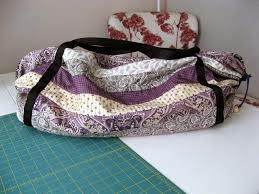 Paradise Sewing quilt shop on a quilt carry bag. You can see it on her site here. I provided her with strips and I got a bag and some stash usage. Pretty good trade on my end! Nothing added this week or for the last couple of weeks! Used this week: 3.0 yards. Net Fabric Used YTD: 33.0 yards.